I have been working on a new Block of the Month for 2015 and as it turns out, I had about 8 different ideas I wanted to try and all of them turned out less than satisfactory. That is the thing with designing, sometime it doesn't go the way you expect. But I finally quit dilly dallying (isn't that a great phrase?) and put the design down and worked out all the blocks. I have two versions of it and you can set yours either way you wish. Here it is. I call it Deco Gardens. In addition to offering the block this year, Peggy at ConnectTheBlocks.com will be offering fabric kits for each block! WOW, you say? And how, wow!!! Blocks and fabric kits will be ready soon so watch my blog and Facebook Page for news about how to get them. This first version is my personal favorite. I just love the idea of putting blocks into a quilt upside down. Just imagine, you could hang this quilt from either end, or even either side. All sides are UP! For those who just can't get quite that far outside the box, I am offering a more traditional setting as well. All the blocks face up, but I couldn't resist turning some of the border motifs upside down. Heehee. If you think you would be interested in the fabric kit, leave a comment and let me know which of these designs you prefer: In the round, or In Rows. To celebrate the new year and the new bom I will choose one name at random for a free Charm Pack! Drawing takes place January 15, 2015. Or just leave a comment and let me know what you think of this year's design. I tried really hard to do a pieced BOM this year as many of you said you wanted to do something pieced, but the applique just wouldn't wait. I promise to offer some pieced blocks as part of the surprises and bonus blocks to subscribers this year. NOTE: 21 days and counting until I retire! Here is how this year's BOM program will work. Each block will be offered free for 30 days and then they will be available for purchase on my website. After 30 days the block will be removed and a new block will take its place. You will be able to download and print one copy of the pattern for your personal use. Any other use requires permission of the designer. You may not share your copy. Please direct friends to download their own copy. Guilds may request the use of the Block of the Month for a modest fee. Requests for past blocks will not be honored. They will be available for purchase on my website. This is how I make my living. Please honor the hours and hours it takes me to prepare these designs by respecting my guidelines. Blocks are 12" and are designed for machine applique. In each pattern you will receive instructions, templates and a full size layout guide. If you wish to purchase the fabric kit, you will be able to subscribe to the entire BOM at ConnectTheBlocks.com. Your kit will be shipped each month and your credit card will be charged for each shipment after it ships. Fabrics will be high quality batiks in the colors featured in the design. Those who subscribe to my newsletter will get a monthly announcement when each new block is posted, a free bonus block, and other discount offers and freebies not available anywhere else. Only newsletter subscribers will have the opportunity to purchase finishing kits for the sashing and borders. If you are not a subscriber please sign up in the bar on the left side of this page. I respect your privacy and I don't clutter your inbox. I send out 2 newsletters each month, and I NEVER share your information with anyone. You can unsub at any time right from the bottom of each newsletter. Please make sure your email is correct when you subscribe. Reese, it is stunning! Congratulations on your upcoming retirement. Thanks Betsy, I am so excited to have time to spend on my quilting designs. I may actually get to make them myself for a change! LOL Thanks for the kind words. They mean a lot. Reeze, this quilt is spectacular!! Retirement?? What is that?? LOL!! Congratulations!! Some day for me too!! Oh wow, Kris, congratulations to you too! I know what you mean, I am moving from one job to another. But in my new job, I am my own boss. Hope your retirement is fun and fulfilling. Hugs!! How beautiful Reeze!!!! Your designs always inspire me! Thanks Teresa, I so appreciate your kind words. Hope you enjoy doing this BOM. I remember counting down the days until retirement. And we celebrate every June 30th, the day we both retired and began living the freedom retirement brings. Oh how wonderful Gari, I am so pleased you are enjoying your retirement and celebrating your freedom every June. LOL What a great idea. Thanks for the great story, and for being a long time supporter. I so appreciate you. You've outdone yourself this time, Reeze! I love the one with the blocks going in all directions. Out of the ordinary. Thanks! Thanks Debbie, I wanted to do a quilt that would be right side up from all directions! LOL Actually it was a happy accident. 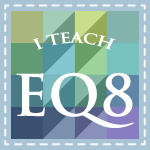 I played around with the blocks in EQ7 and when this happened I said WOW! I had planned to do this in a white background but when I tried the black out it really popped and I was sold. Thanks for the kind words. It means a lot. Wow, this is a fantastic quilt! I like the first one best, it reminds me of a window. Beautiful glow in the colors! Thanks Sylke, I am glad you like it. Color is what feeds my soul. Sounds goofy, but its true. I am pleased you share my love of color. This is just gorgeous!!! I can't find how to download the pattern. Can you help me out? Thank you and congratulations on retirement. Don't expect to have more time. Some how it just doesn't work out that way. I am busier now than I have ever been in my whole lifetime. But it is FUN!!!! Thanks Shirley, everyone warns me I will be busier in retirement. LOL I am sure you are right! The blocks and fabric kits will be available very soon. I will be posting a new 2015 BOM Page (see tabs at the top of the page) as soon as they are ready. The design and pattern is complete but I don't like to release a pattern until I have tested it. I am hoping to have everything ready to post by Jan 15. What a beautiful pattern! I can't wait to get started on this one. I hope you don't think you'll have extra time after you retire because it seems I'm busier now than I was before. One of the best things about retiring is no more rush hour traffic or weather worries. If the roads get bad I can just change my plans and carry on! I am so looking forward to that Crickets! I always fret over bad weather since I commute quite a ways to work. Won't that be great to sleep in! Yea right, Thanks for the kind words. Great Job Reeze, can't wait to get started, I love the "In the Round" all sides up! That solves a lot of problems. Thanks Carole, isn't that a hoot? I love the idea of a quilt that is right side up from any side. Thanks so much for your generous comment Nelymar. Your translator is working great. Don't you love the ability to translate on the web? 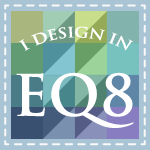 I use it all the time when I admire the work of quilters all over the world. just when i think i've had enough quilting for a while, you come along with another wonderful quilt. i cant belive the keen sense of design and color you have. i have been quilting along with you for a while now and i am always happy with the everything goes together as well as the end results. thank you for another beautiful pattern. i can wait to get started on 'cathedral window'. Beautiful! I really like the first one. The setting is a reminder that a lot of bed-sized quilts were made so they could be turned end-to-end to keep the wear equal. Thanks DonnaRae, your comment gave me a good laugh. I know what you mean. I saw a BOM on P3 that I wanted to do and was in such a hurry to download it I couldn't remember my password to login! LOL Thanks so much for your kind compliments. Oh! This is great !!! With the beginning of a new phase in your life! Let it be successful! Retirement will be a wonderful thing. Blessings with the retirement. The quilt is beautiful. I like the first one and I flip my quilts around for good wear. I like to share the things I create plus surround myself with things that mean something to me. Isn't that the truth, surrounding yourself with the things you love. Thanks for the reminder that our lives are filled with blessings. I look forward to enjoying the time I paid so dearly for. Wow that is absolutely stunning, the top version is definitely my favorite! I am glad you like the top version Sooze. It is my favorite as well. Thanks for taking the time to look and to share your comment. It really means a lot to me to know what your think. Gorgeous! I love the in the round because it looks like a stained glass window. You did an excellent job! Congrats on retirement! Thanks Iris. It does rather look like stained glass, doesn't it! I have done stained glass quilts in the past with bias between fabrics, but it is so much easier to just do the applique on black fabric and leave the spaces between pieces. Had I known this earlier in my quilting career there would have been a great deal less cursing in the world. hahaha. Thanks for the congrats. I really appreciate your kind words. I am from Argentina, like so much your new design. Thanks Silvia, I am so pleased you are joining us for this year's new Block of the Month. Happy New Year to you as well. I agree with denim iris - it does look like a stained glass window! Gorgeous design! Thanks Colleen, I appreciate your kind comments. Wouldn't it be fun to design a quilt which incorporated a light source from behind? I did a wall quilt once like that and hung it on my glass patio door. It was so pretty with the light behind it. Hmmmm, now that gives me an idea. . . LOL Thanks for stopping by and commenting. I prefer the In The Round setting. It is another gorgeous quilt Reeze. Thank you so much for your patterns. Happy soon to be retired! Thanks Edie, I appreciate your comments and congrats. I am looking forward to being much more productive in my studio. I will miss teaching, but I will have more than enough to keep me busy! Congratulations on your upcoming retirement! I am sure we are all counting down with you! Oh Connie, Happy Birthday! Your present will be on the way in time for your birthday! LOL The blocks and fabric kits should be ready by then. Hope you have a great day. And thanks so much for your generous praise. It really means a lot, especially to this girl who has a birthday on the 18th! We are practically twins! LOL only 20 more days now. May your day be filled with abundant blessings & all that brings you joy! Yippee, skippee!! That fits right in with dilly dallying! My mom used dilly dallying all the time - sweet memory. :) Your designs are fabulous and this is gorgeous. I think the black background makes the colors/blocks really pop. Thanks for sharing you designs, your time, and your tuts. Thanks Marcella, love your comments! If you subscribe to my newsletter you will get those 3 extra blocks! Then you can set yours together any way you want. Hugs! I love the second choice. It´s beautiful! Hi Guilitta, so good to hear from you. Thanks for chiming in on your favorite. You will get all the blocks if you subscribe to my newsletter. Hope you are having a wonderful New Year and a mild winter. Hugs from Kansas! All of your patters are just so lovely, but this block of the month is stunningly beautiful! I like the first setting of the blocks better, but they are great either way. Thanks for the amazing patterns and congratulations on your retirement!!! The quilt is absolutely gorgeous! And, I really love "in the round". Congratulations on your retirement. I seem to be busier than ever, since I retired. Oh, and by the way, I love retirement. And, I am sure you will too. Thanks Donna, I so appreciate your kind words. I have really worked hard to get to my retirement. Can't believe it is almost here. I am so glad you are loving your retirement. What an accomplishment. The more I think about it, the more I like the in the round. It reminds me of the stained glass you see on the ceiling of grand buildings. Those are visible from all angles and always so gorgeous. Congratulations on a great design, regardless of the way you choose to go. Wow, Jennifer, that is a great image of the ceilings. I am picturing domes in those big old buildings and churches. Thanks so much for putting into words what I was trying to accomplish. Wow, beautiful! You put a lot of work and dedication into this pattern and it shows. Congrats on the retirement too! Thanks Michelle, design is more play than work for me, but I gotta tell you it takes time to work out all the little details. LOL Thanks for your generous praise and retirement congrats. Hi Reese! I think your blocks are absolutely beautiful! I think the In Rounds vs In Rows quilt is more striking, and both Quilt Show and Ribbon worthy! Thank you for your meme ce efforts on our behalf! Oh Leslie, thanks so much for taking the time to comment. I hope some of the folks who make this quilt will win ribbons and send me pictures!!!! Thanks for a wonderful quilt I love it! I like the quilt in the round the best and will attempt to do that one. Congratulations on your retirement. I haven;t started to count the days yet but I have only 5 more months until I am done. Everyone tells me that I will be busier than ever but am hoping it will be on things I want to do. Thanks for the comment Marge. It appears the in the round setting is getting a lot of votes! Who knew? LOL Thanks for the retirement congrats. Your 5 months will pass quickly. I started my countdown at 275 days and the fact that I am down to 19 just stuns me. I hope it passes quickly for you too. I am going to love being my own boss! I like the first one. It looks more symmetrical to me but both are beautiful. Dear Anon, thanks so much for sharing your preference. You are right about the symmetry. It is an element in art nouveau design and you can tell in the blocks that they are mostly symmetrical as well. I hope you enjoy making this quilt. Thank you, this pattern is beautiful. Now I have an excuse to buy more fabric, :) I can't wait to get started. Dear S, I am so happy that I could provide you a reason to buy more fabric. hehe. Can't wait to see a picture of what you buy! I love love this quilt. The design is awesome (especially the first one-upside down) and offering a fabric kit is a great idea. I do like to go in rows making my quilt. Linda, thanks for the comments. The fabric kits are ready at connecttheblocks.com! I am so excited to be able to offer that this year. Another beatiful design, Reeze. I like the first one - In the Round. I'm wondering if the light green background could be added to mine to make it look even more of a stain glassed window. Just the right size too. Thank you for your generosity in sharing these designs. Thanks Nudge, glad you like this design. PS: When will the free block be online? Just wondering. Its available NOW! Go to the 2015 BOM page and download your copy. Sign up for the fabric kits is on the same page. I Love it! I prefer applique to Pieced so this is great. As always you have beautiful patterns. thanks Elizabeth, I am so pleased you like the design. It was a blast to come up with the ideas and setting. I am working on my version and I love how it is turning out. WOW, another great BOM!! You really are a great designer. Glad these are for machine applique, I have too many hand applique projects going already!! Bueno, pues a mi me encanta de cualquier manera pero como soy novata no me arriesgaré demasiado y lo haré sin inversiones,jejeje. Hi Angela, So glad you are enjoying this quilt. Even as a beginner you will find machine applique easy to do. Use colors from your stash and learn as you go. You will have a great time learning with this project. I love them both but the In the Round has just that extra special wow to it. ohhh love it !! my favorite is "in the round" but "in rows" is beautiful too.... thank you for your wonderfull designs and happy new year to you ! In the round is my favorite. Congratulations o. you up coming retirement! First of all congratulations on your upcoming retirement. I love the first design and the way the blocks go round. As always you blow us away with your designs. Oh Ruthie thanks so much for your kind comment. I am thrilled you like the quilt. It is one of the first things I will be doing in my retirement hehe. I like the way the blocks go around too! It is just beautiful!! Congratulations on your upcoming retirement too! 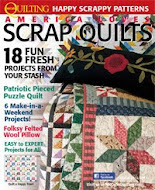 Does this mean you will be devoting more time to quilting? Hi Nina, thanks for the retirement congrats. I will be turning my part time design business into a full time career now. I am booking speaking engagements and workshops and loving it. My thanks to everyone who left comments and congrats. I so enjoy reading your comments and hearing what you have to say about the design. I hope you enjoy making these blocks and will send me pictures of them as you make them. I would love to post them on the blog to inspire others! The blocks and fabric kits are now available and I hope you will tell your friends and quilt guild buddies too join in. Reese, This pattern is stunning!!!! Very different from what is usually thought of as free BOM. I can't wait to start it. Thank you and congratulations on your retirement but .....don't expect to have lots of time to do all the things you never have time to do. LOL!!!! It don't work that way but "Retirement' is wonderful. This is just stunning! I especially like the fact the quilt can never be upside down; just five it a turn and there's another look. Can't wait to do it!